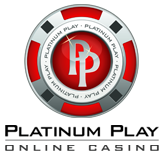 Swiss Casino is an industry leading online casino that is powered by PlayTech and based on Swiss quality that is known worldwide. They’re perfectionists and this is exactly what this casino is based on – perfection. You can get an idea of this quality by simply visiting their homepage. The casino is managed by GGN Group, which is responsible for 11 online casinos in total and is fully licensed by the Government of Gibraltar. This makes it one of the safest places to have a pleasant playing experience at. When it comes to online slots, you’ll find more than 200 of them, powered by PlayTech, which is a software developer with some of the loudest slot releases in the industry. You’ll find all of those 200 titles offered in several variations of the casino client. 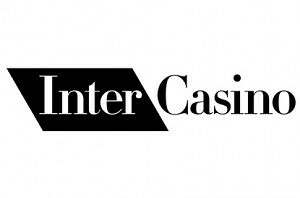 The games can be played by either using the instant play version of the client or alternatively, you can also use the downloadable version of the casino, which will be available for those that are using Windows operating system to empower their computers. Lets get to the point, though. We’ve reviewed all the slots that are offered by Swiss Casino and have came up with a list of the top 5 games that you should try in case you join this casino. Beach Life – the largest and most known progressive jackpot slot of Swiss Casino and all PlayTech casinos. Created after the summer theme it’s a rather simple 20 pay line slot game offering free spins feature and of course a 7 figure progressive jackpot. Rocky – created after the big hit series of movies starring Sylvester Stallone, Rocky is a 25 pay-line video slot that offers several bonus games, a chance to gamble on your winnings and an exciting ROCKY bonus feature. 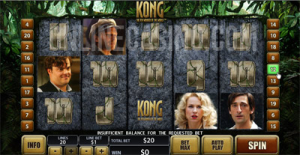 King Kong – a video slot game created after the legend and movie of King Kong who attacks New York City. It’s a visually appealing slot with a jungle game mode, the wild re-spins and a chance to bet up to $100 per spin. The Santa Surprise Slot – an x-mas and Santa themed slot machine that features Santa as the wild symbol as well as scatter symbols and a bonus game, which awards you with various christmas gifts – cash of course. 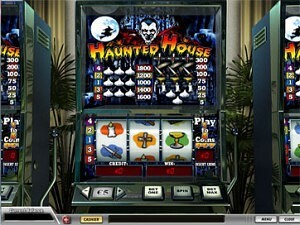 Haunted House – a halloween themed slot game that is a something between fruit machine and a video slot. Play on up to 9 pay-lines over 3 reels and win up to 1,800 coins!